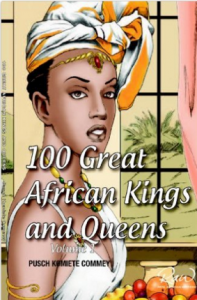 Queen Nzinga Mbande was a ruthless and powerful 17th century African ruler of the Ndongo and Matamba Kingdoms (modern-day Angola). Nzinga fearlessly and cleverly fought for the freedom and stature of her kingdoms against the Portuguese, who were colonizing the area at the time. Around the turn of the 17th century, the independent kingdoms and states of the Central African coast were threatened by Portuguese attempts to colonize Luanda. (Luanda, today the capital of Angola, was founded in 1576.) Portugal sought to colonize the region in order to control the trade in African slaves, and attacked many of their old trading partners to further this goal. Unlike many other rulers at the time, Nzinga was able to adapt to these changing circumstances and fluctuations in power around her. By her own determination and refusal to give in to the Portuguese without a fight, she transformed her kingdom into a formidable commercial state on equal footing with the Portuguese colonies. In 1617 the new governor of Luanda began an aggressive campaign against the kingdom of Ndongo. His troops invaded the capital and forced King Ngola Mbandi (Nzinga’s brother) to flee from the area. Thousands of Ndongo people were taken prisoner. 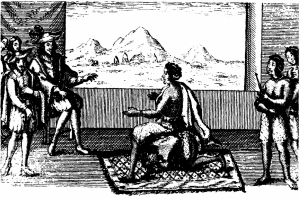 As the new sovereign of Ndongo, Nzinga re-entered negotiations with the Portuguese. At the time, Ndongo was under attack from both the Portuguese and neighboring African aggressors. Nzinga realized that in order to acheive peace and for her kingdom to remain viable, she needed to become an intermediary. She allied Ndongo with Portugal, and was baptised as Ana de Sousa Nzinga Mbande with the Portuguese colonial governor serving as her godfather. By doing this she acquired a partner in her fight against her African enemies, and ending Portuguese slave raiding in the kingdom. The new alliance didn’t last very long, however. Portugal betrayed Ndongo in 1626, and Nzinga was forced to flee when war broke out. Nzinga took over as ruler of the nearby kingdom of Matamba, capturing Queen Mwongo Matamba and routing her army. Nzinga then made Matamba her capital, joining it to the Kingdom of Ndongo. To build up her kingdom’s martial power, Nzinga offered sanctuary to runaway slaves and Portuguese-trained African soldiers. She stirred up rebellion among the people still left in Ndongo, now ruled by the Portuguese. 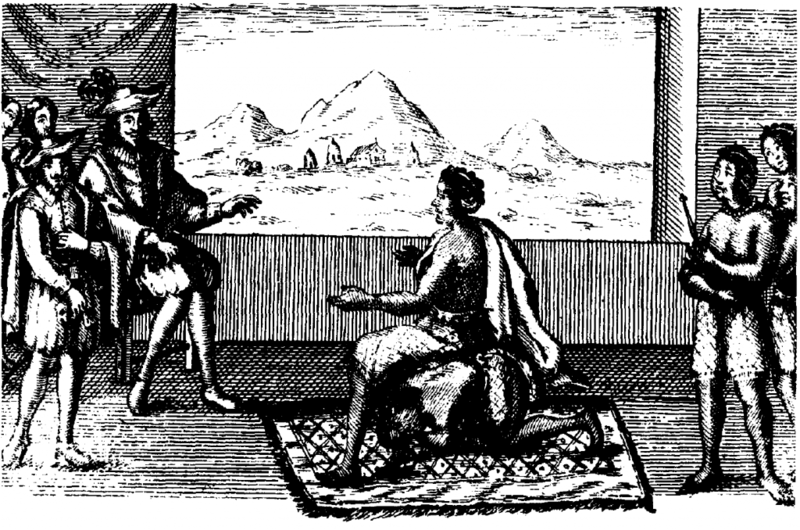 Nzinga also reached out to the Dutch and invited them to join troops with her. She told the Dutch she would be happy to ally with them because of their justice and politeness, whereas the Portuguese were proud and haughty. Even their combined forces were not enough to drive the Portuguese out, however, and after retreating to Matamba again, Nzinga started to focus on developing Matamba as a trading power and the gateway to the Central African interior. By the time of Nzinga’s death in 1661 at the age of 81, Matamba was on equal footing with the Portuguese colony. The Portuguese came to respect Queen Nzinga for her shrewdness and intransigence. With Nzinga’s rule, Matamba became a powerful kingdom that long resisted Portuguese colonisation attempts and was only integrated into Angola in the late nineteenth century. This entry was posted in History, Women. Bookmark the permalink.